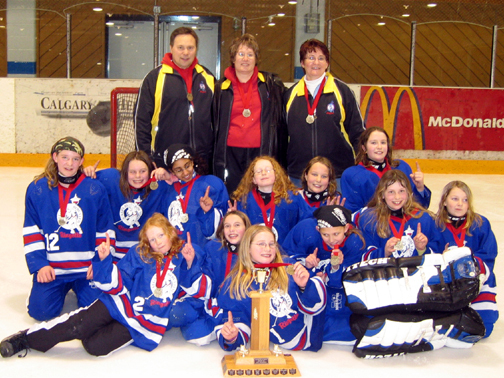 It is with great sadness that many in the Calgary ringette community say goodbye to Frances Willis - coach of one of three ringette teams in Calgary's inaugral season of 1977-78. 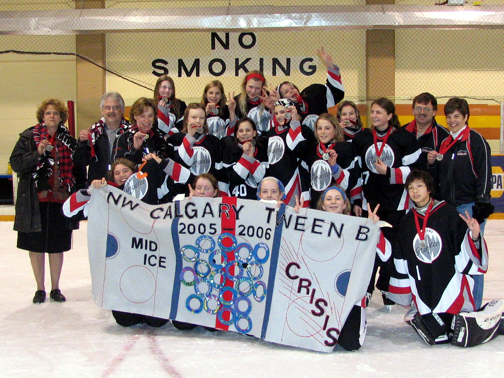 Frances was a member of the first Ringette Calgary Board where she spent several years as president, scheduler, organizer and promoter. 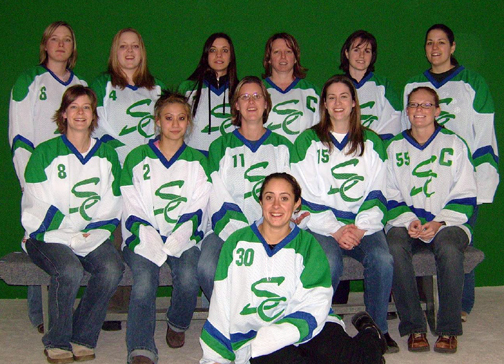 In 1979 she was responsible for starting the Calgary Booster Club Ringette School - the first ringette school in the province. 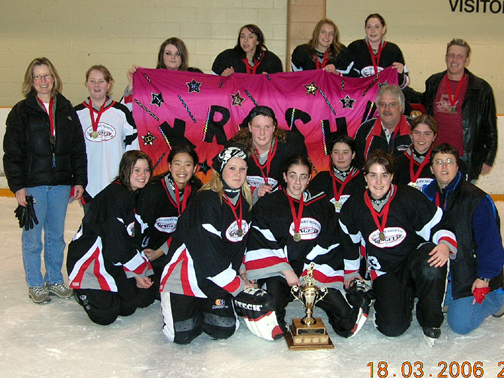 She was recognized for her ringette involvement by the Calgary Booster Club in 1986 and inducted into the Alberta Sports Hall of Fame in 1994. 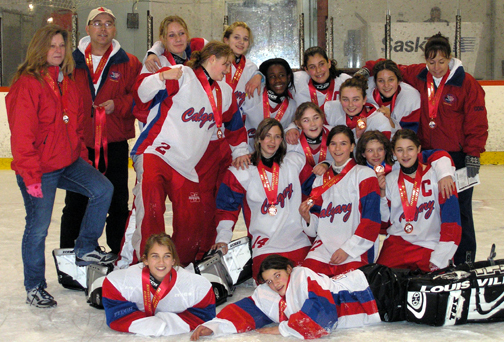 Her involvement and enthusiasm with both the grassroots and the Rep program in Calgary was significant - as a committee member, coach, manager, role model and mom. 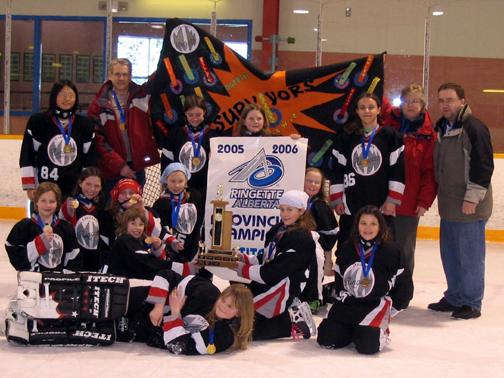 Frances touched many of us over the years, and will remain in our memories as one of the major building blocks and greatest supporters of ringette in calgary. 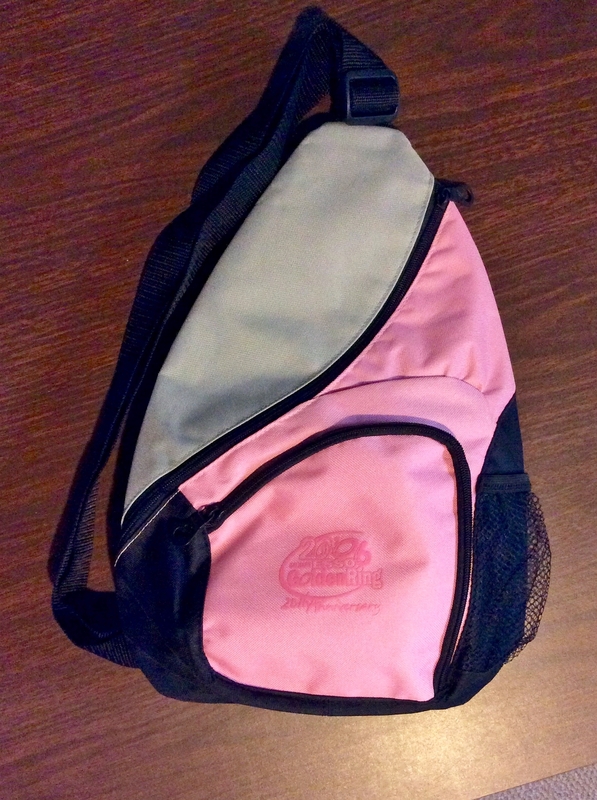 and began implementing it on jerseys, team wear, stationary, etc. 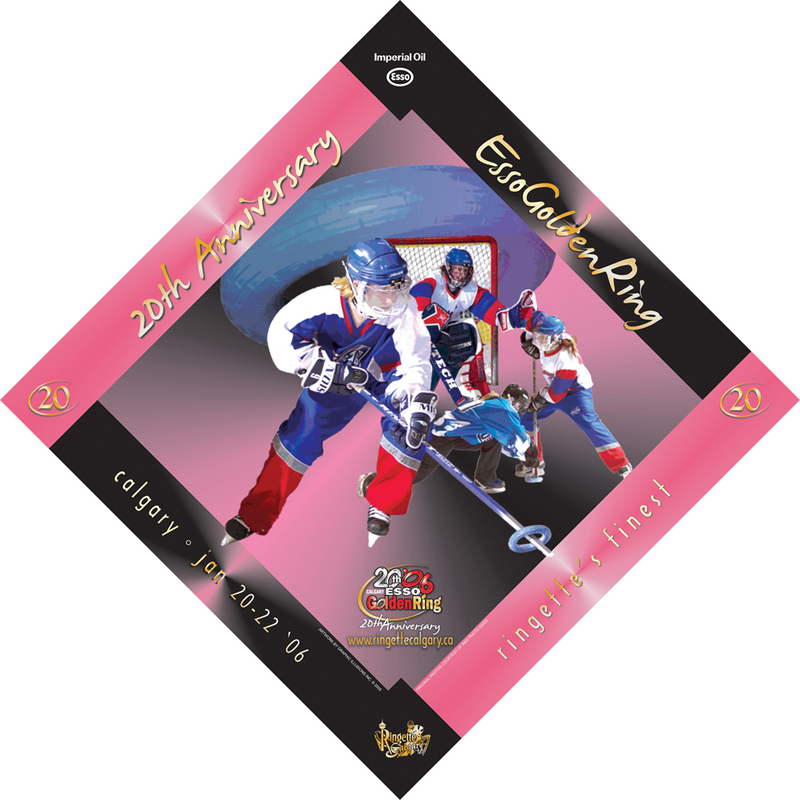 Logo Design by Laura Webb, Graphic Illusions Inc.
Calgary Tween AA Zeal attended the Western Canadian Championships in Winnipeg where they won GOLD. 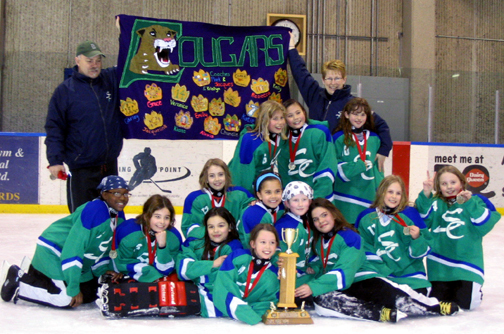 The Canadian Ringette Championships were held in Longueuil, QC - Calgary Surge Junior AA won Silver, Calgary Cru Belle AA won Silver and Calgary Rath finished 6th. 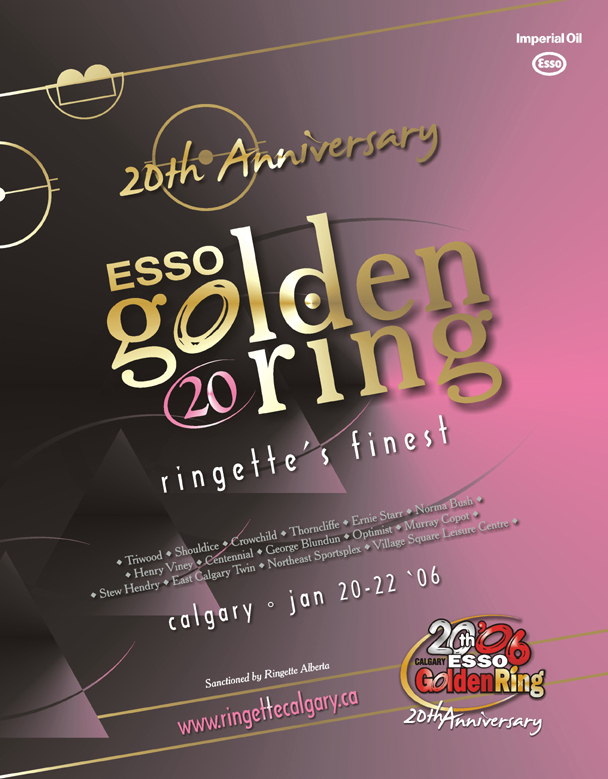 The 20th anniversary Esso Golden Ring was held Jan. 20-22, 2006 and hosted Bunny through Intermediate divisions. 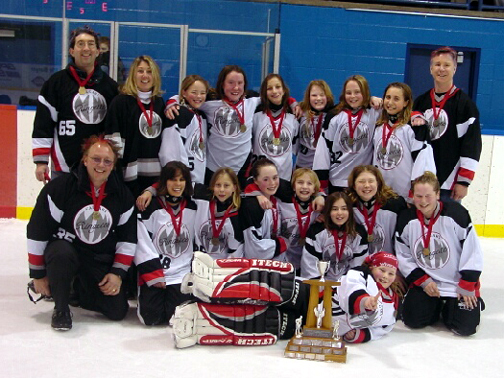 There were 166 teams in 17 different divisions. 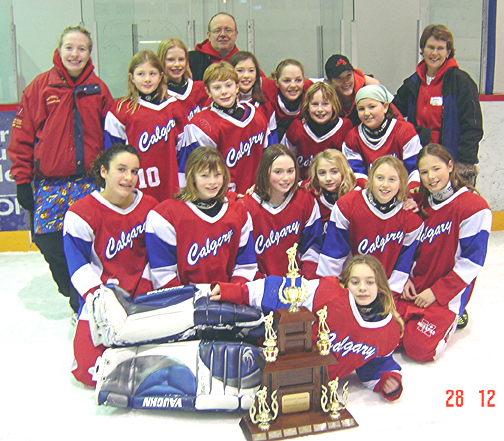 The Ringette Calgary website provided all tournament information including: application form, hospitality night information, a list of successful applicants, coaches mandatory registration, adopt a team information, and the schedules. 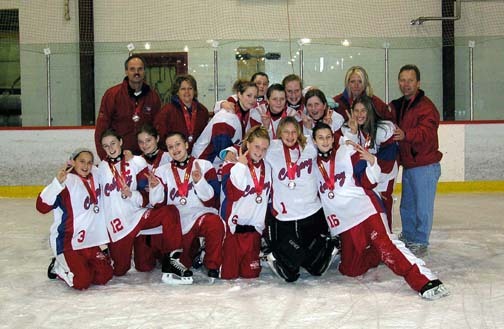 This greatly expeeds the process of providing information to teams. All notification to teams was done through email. 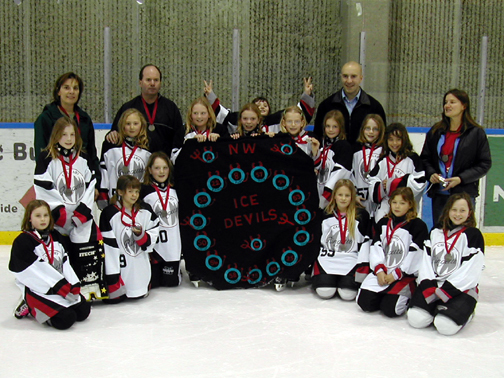 All divisions except bunny and novice used shot clocks for all games. 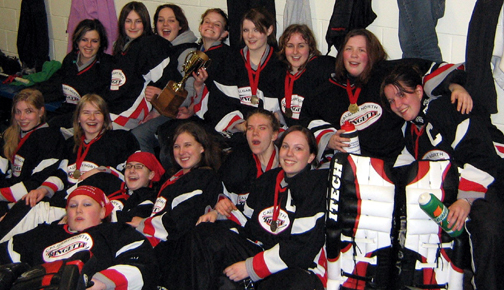 Game scores were uploaded over the weekend from the control centre. 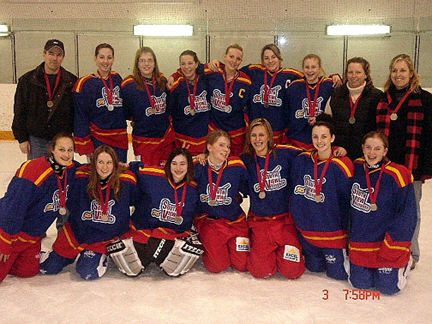 This process assisted coaches in attaining game scores and information about which quarter or semi final game they would be participating in. 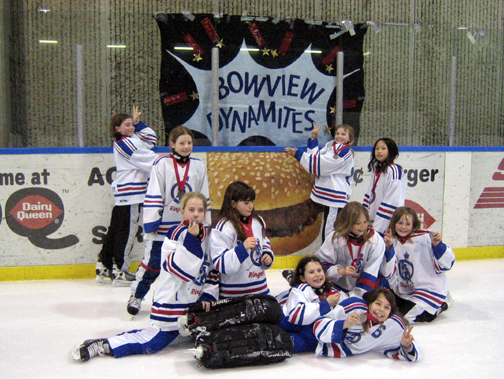 In the interest of fair play, in the Bunny and Novice divisions each player on a team was allowed to score a maximum of three goals per game. 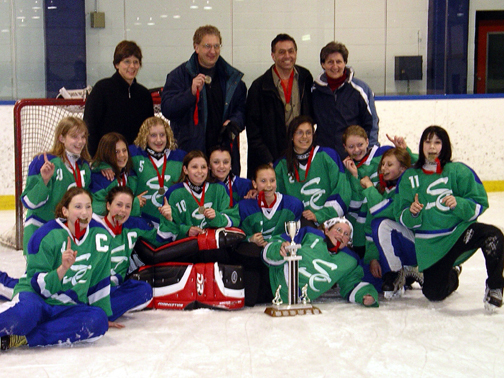 The Esso Golden Ring was chosen by the National Ringette League to host league games for the NRL. 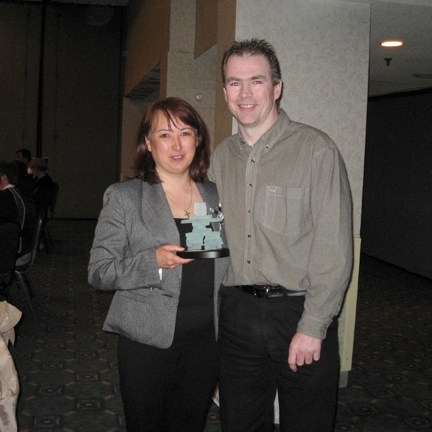 The award was presented by Shiraz Shariff and Norman Kwong, Lt Governor of Alberta. 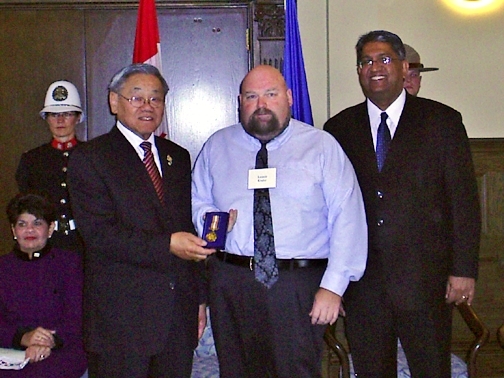 On September 11th, Lonnie Krahn was the deserving recipient of an Alberta Centennial Award. He was nominated for his timeless effort and all his volunteer work - he was one of 8000 people chosen out of many Albertan's to receive the prestigious award. 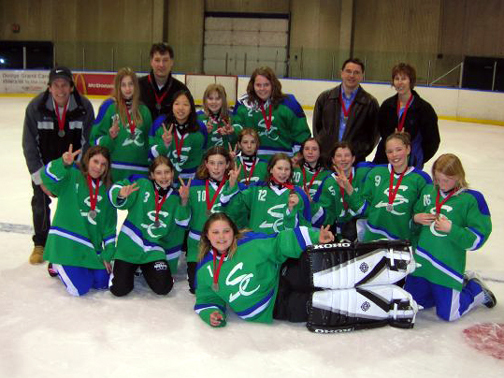 Lonnie has coached ringette for 18 years and coached fastball for 14 - not to mention being on numerous boards of directors, including the current Ringette Calgary League Director. 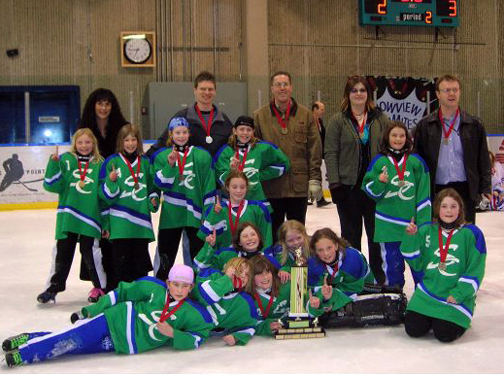 Lonnie was also honored last year when the Properties Spring Classic tournament was renamed to The Lonnie Krahn Spring Classic. 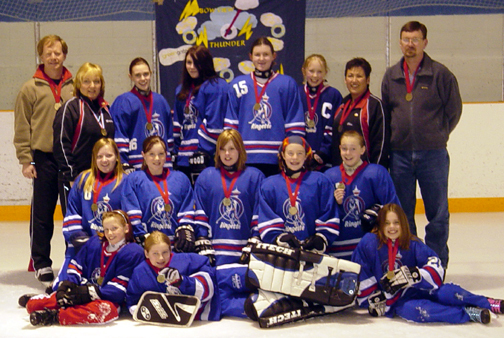 Petite A – Calgary NW Friction team won the Gold Medal on Feb. 12 in the Medicine Hat Tournament. 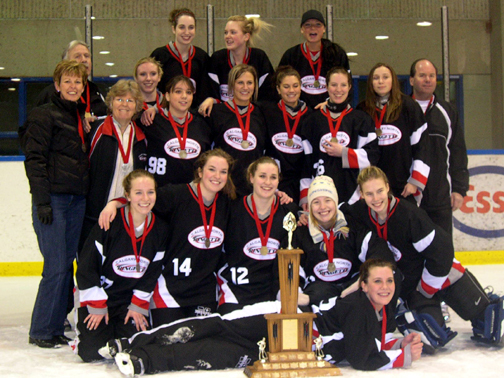 Regina was ALL Red, White, and Blue!! 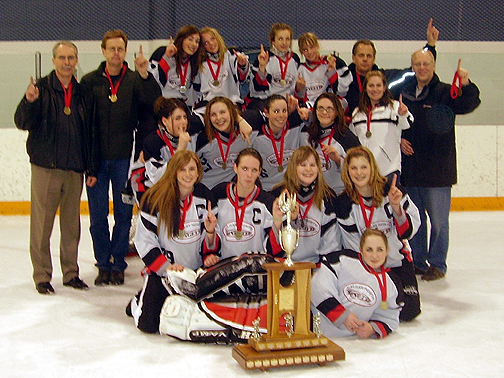 Calgary SURGE wins Junior AA championship. 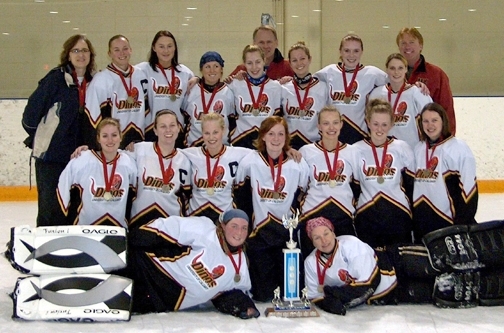 Nationals here we come! 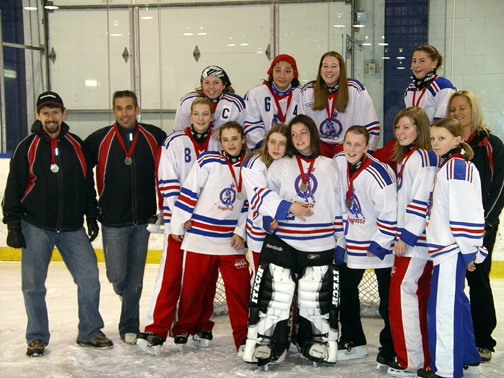 Calgary Tween AA Zeal (Team Alberta), won Gold at the Western Canadian Ringette Championships in Winnipeg.